Jen Healy is a leader in Quantum Energetics. She has focused her mastery on bridging the gap between science and spirituality. She combines her Master’s in Electrical Engineering and Physics with numerous healing modalities from Eastern and Western philosophies to offer a unique style of Being Engineering and Energy Management. As the founder of The Quantum Playground, Aerial Yoga Play, the AYRx program, and CEO of Zen Healyng and Healyng Technologies, Jen Healy offers over 18 years of experience bringing together the best information and excellence in Quantum Healyng Technologies, Energetics/Energy Management, Advanced Body Therapy, Conscious Movement, Empowerment and Evolutionary practices. She is dedicated to advancing the healing arts through a blending of spirituality, somatics, nutrition, yoga therapy, dance, movement, and meditation with the sciences. Her love for sacred geometry and quantum physics inform and inspire her work. 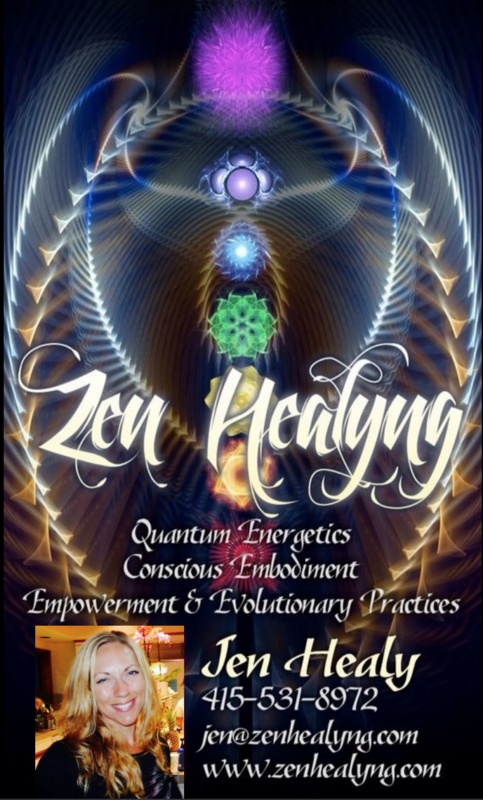 Her Quantum Healyng™ practices and empowerment courses seamlessly weave together all of her knowledge and experience to offer a truly Integrative, Informative, and Deeply Transformative Experience. She believes that the true Self in inherently magnificent and powerful beyond measure; therefore, a good daily practice will support a person’s natural empowerment process. The AYRx Yoga Swing system combines the benefits of flexibility, strength, and balance found in traditional yoga with the unique conditioning of suspension therapeutix. The AerialYogaPlay (AYP) & AYRx programs teach you how to use the swing properly for maximum safety and effectiveness while having fun! It’s similar to aerial yoga, pilates, suspended resistance training (TRX), and aerial dance all rolled into one deeply transformative experience. Open~Align~Release is our mantra. Physical therapists and trainers have told us that they are discovering that AYRx Swings could be one of the most effective tools they have ever used. The ability to suspend the body provides a unique advantage in rehabilitation creating one of the most beneficial ways of using gravity to accelerate healing better than traditional “table” approaches.